As a testimony to its construction excellence and achievement, Davis Schueller is an award-winning company dedicated to producing the highest level of quality craftsmanship with every project. 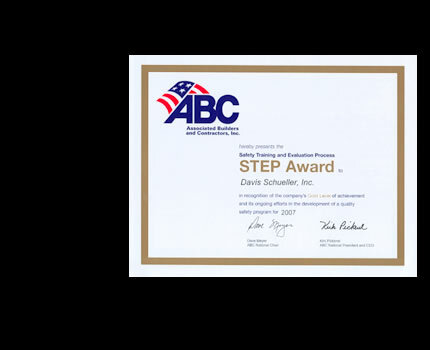 Every year since 2004, Davis Schueller has received the recognized ABC Step Award. 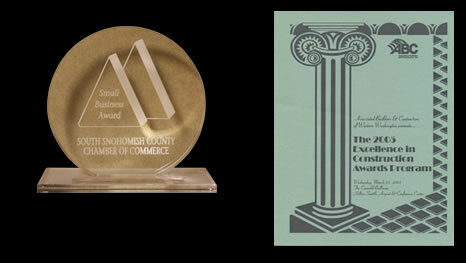 We are proud of the fact awards are not just given, but earned. ABC Associated Builders and Contractors, Inc.